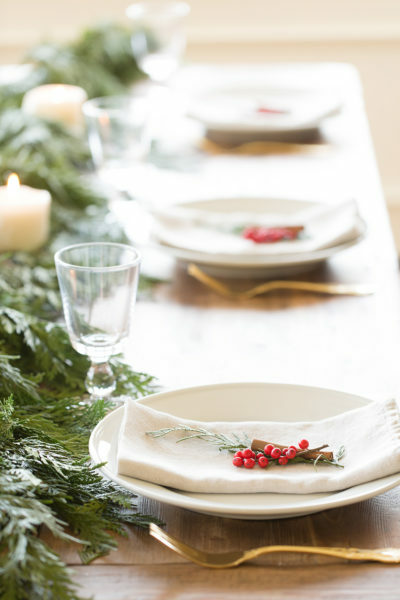 Hello friends and welcome to this season’s, Styled + Set Christmas Entertaining Tour hosted by my very talented friend Lory at Designthusiasm. A big welcome to those of you who are visiting from Laura at Finding Home Farms! 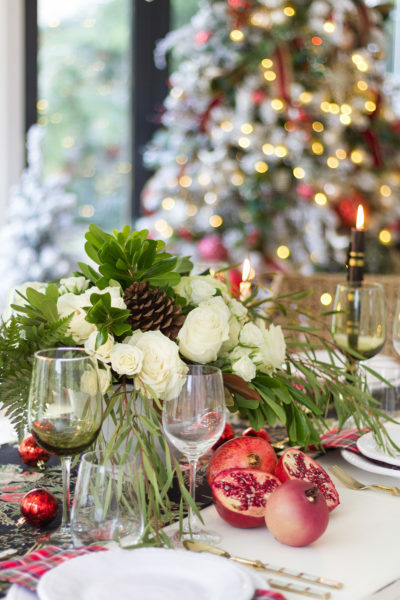 I am so glad to have you here with me today and I hope that this post provides a little inspiration for the upcoming holidays! 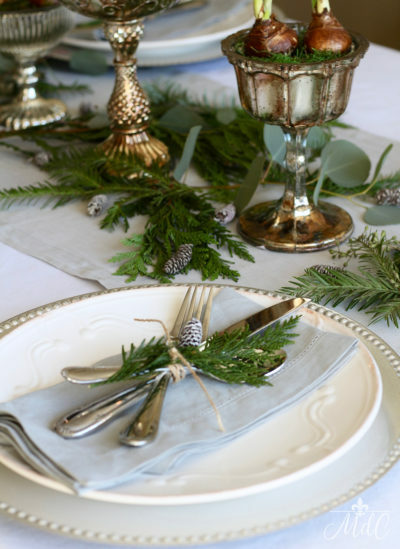 When thinking about entertaining during the Christmas season, so many things come to mind! 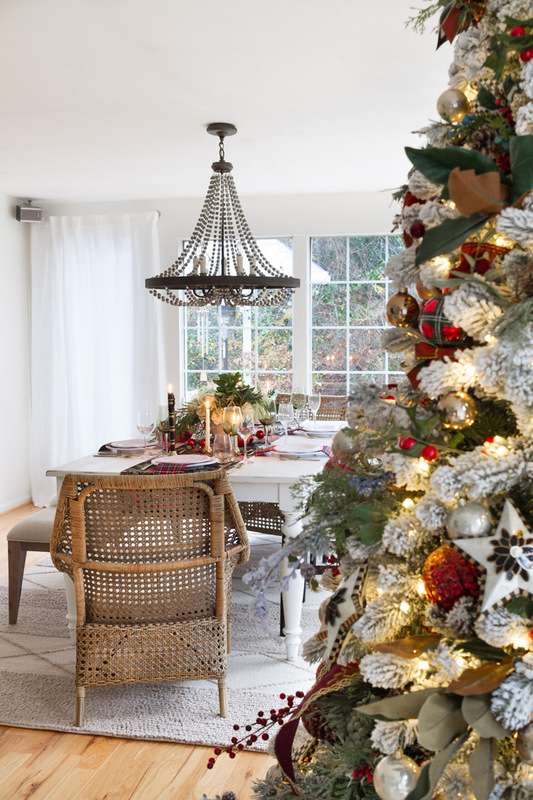 Such as delicious meals, many sweet treats or baked goods and gathering around it all with loved ones. 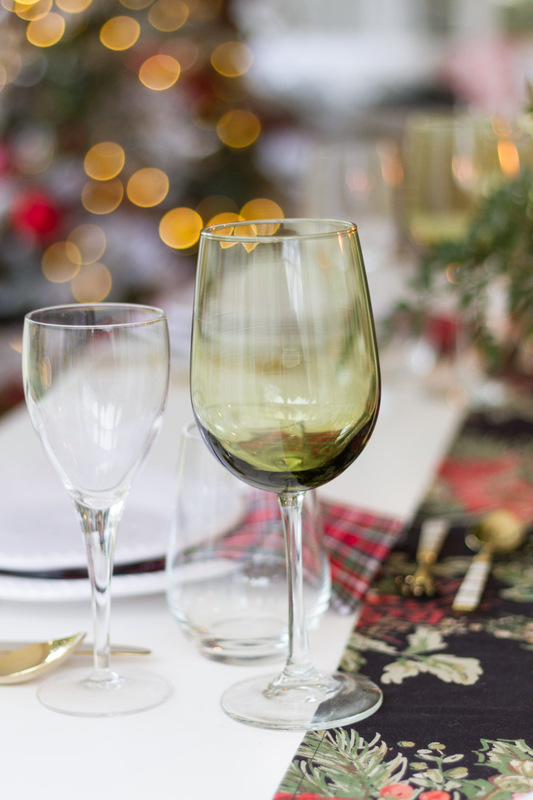 Preparing for these get togethers can seem overwhelming if I let it ;), through the years I have tried to find ways to remember the reason for it all and let that guide the rest. Of course making things as simple as can be doesn’t hurt either, haha. 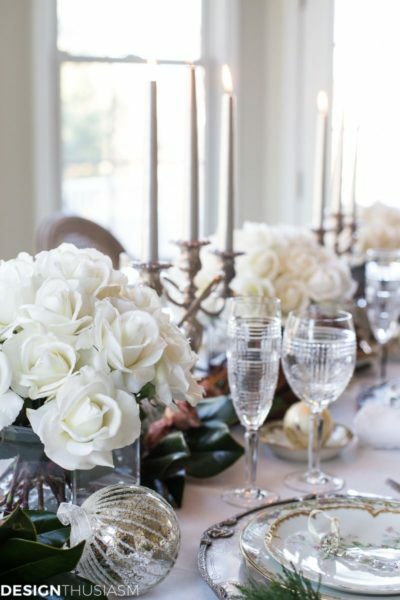 When I say accessories, I am talking about the glasses, the napkins, the runner and the flowers. 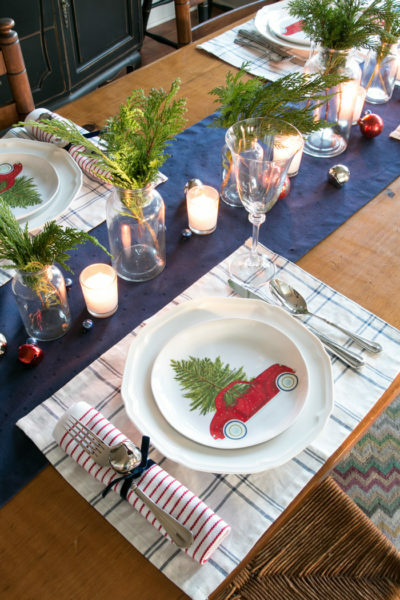 I also purchased some festive fabric napkins (at our local HomeGoods). 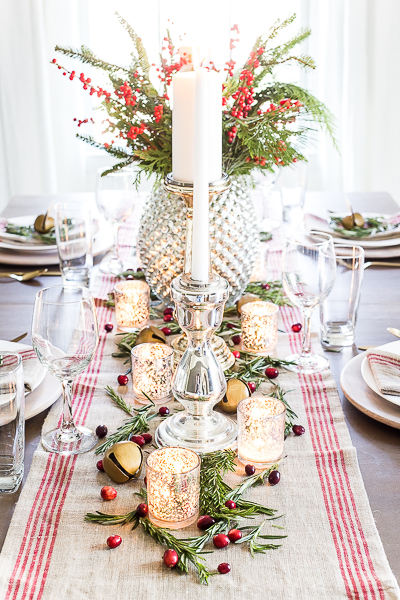 I am loving the red this season in our home, so I wanted to incorporate it on the table as well. 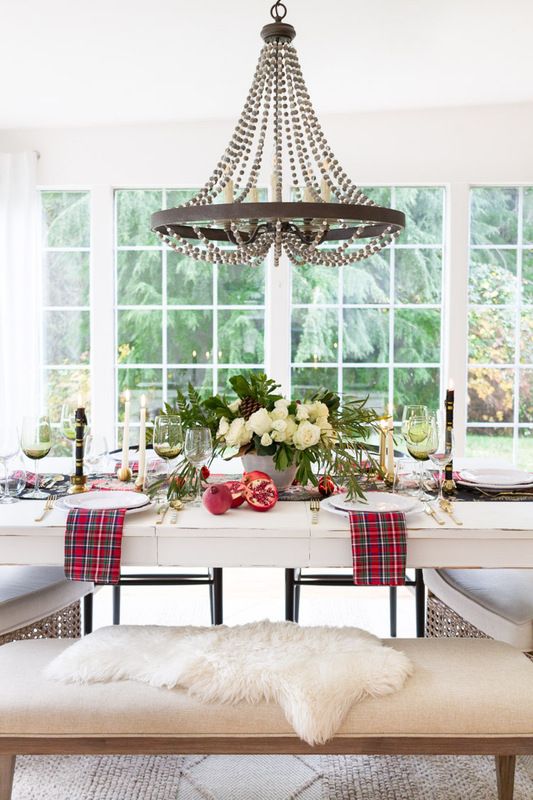 And lastly, I couldn’t resist mixing the plaid napkins with this moody floral runner. It was the statement piece and I loved how it brought a romantic vibe to the decor. 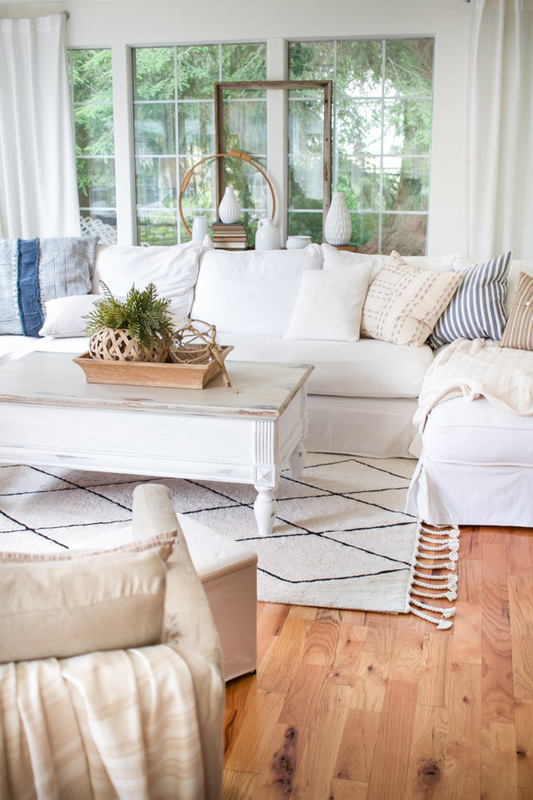 Do mix and match your pieces whether that be dishes, patterns or metals. 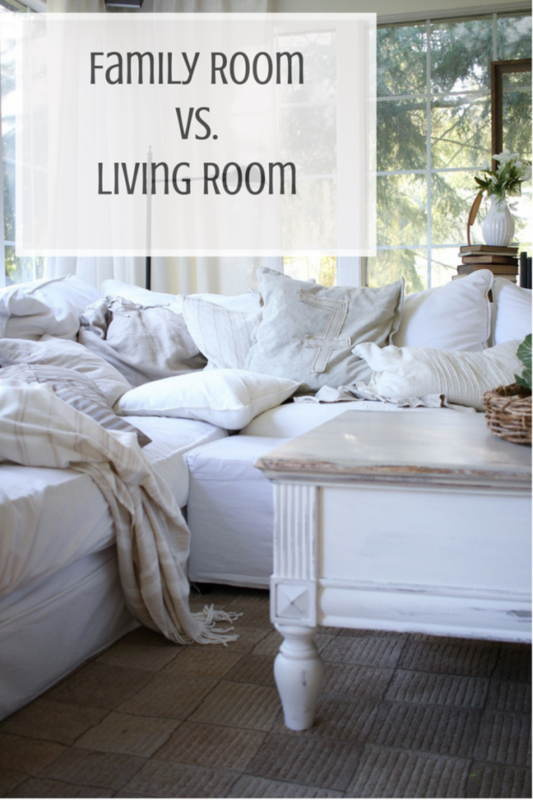 Mix and matching is another inexpensive way to make your table as you can thrift items and use what you already have. 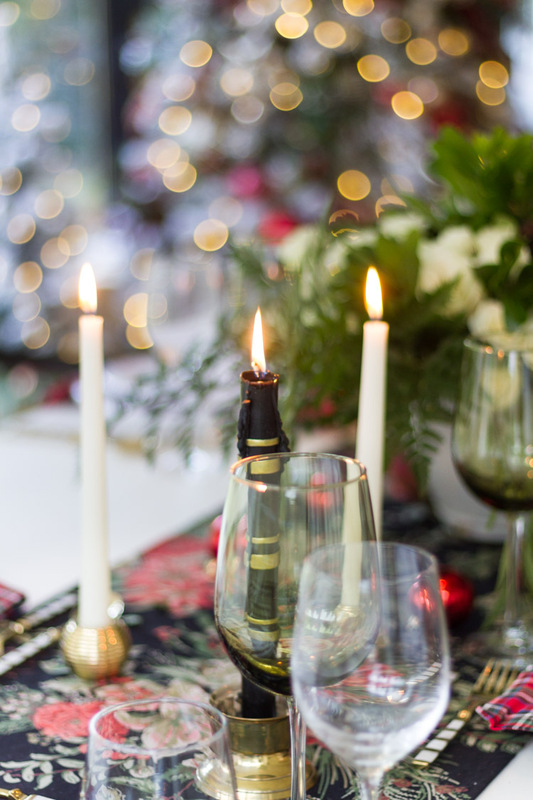 Nothing compares to the ambience of candlelight, so do always try to incorporate real or faux candles somehow on the table. 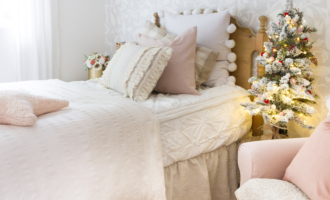 Roses are a timeless flower and can be used any time or season! 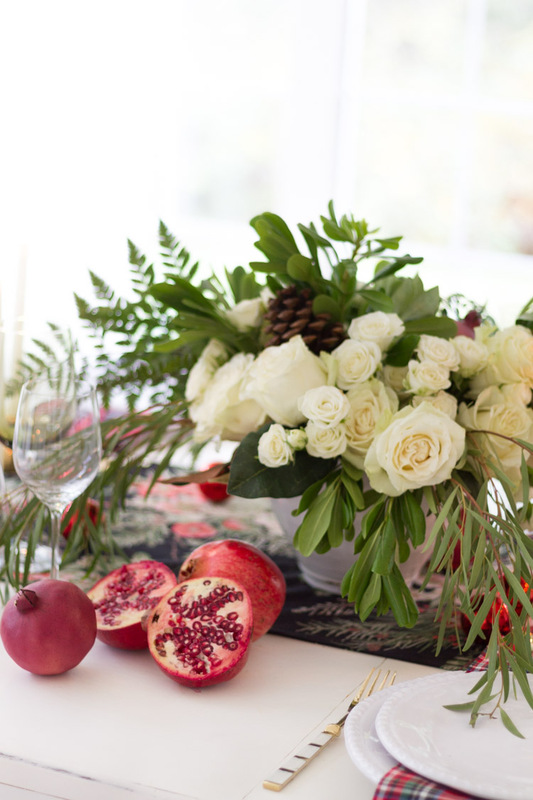 They are perfect for the summer, fall and white roses make such a statement during Christmas. They are striking against the red. Use bowls to hold arrangements! Here I used this ceramic bowl to house the flowers and varieties of floral greenery. I added a few pinecones and pomegranate to finish it off. 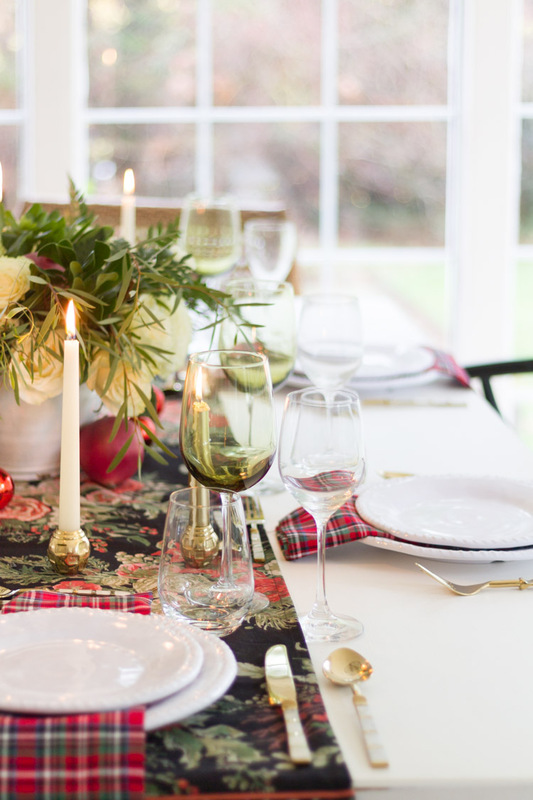 And with Christmas trees stealing the show this time of year, tablescapes can just accentuate the whole scene ;)! Thanks so much for coming here today and I appreciate you taking time to visit. Don’t forget to visit my friend Jennifer at Town and Country Living. I always enjoy seeing here pretty tables and I know you will too! Here is the entire tour listed below for you to take a look at as well! Love all the natural light. 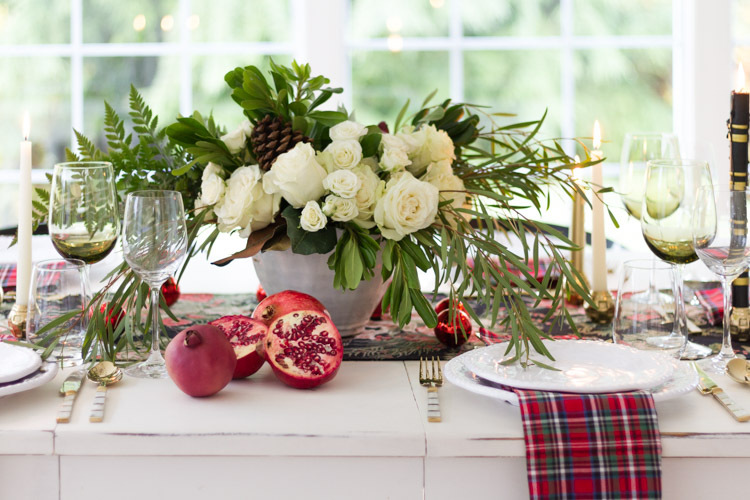 Annie, your table is so pretty! 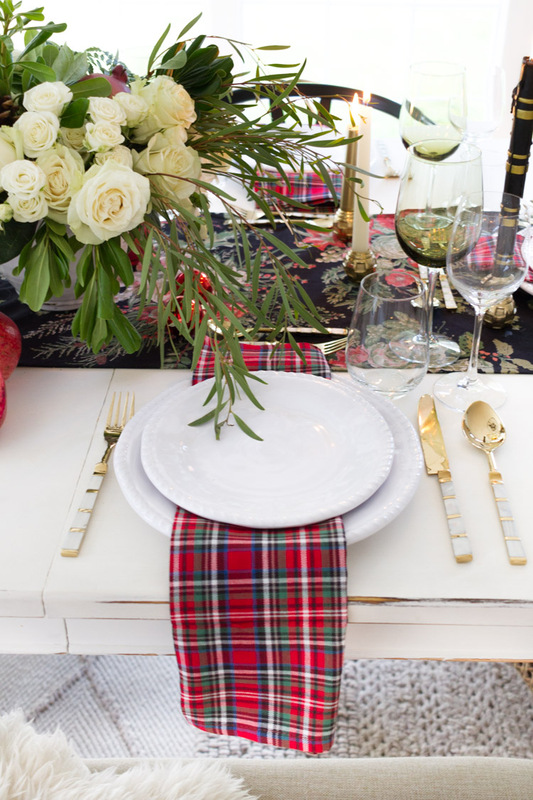 I’m loving the red in your home this year, and the plaid napkins just make the whole thing! 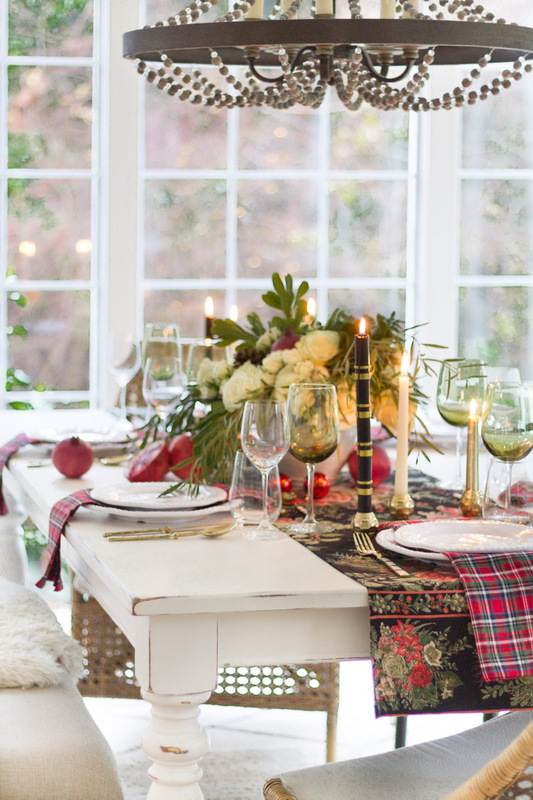 You can never go wrong with plaid at Christmas! So happy to be “hopping” with you again! 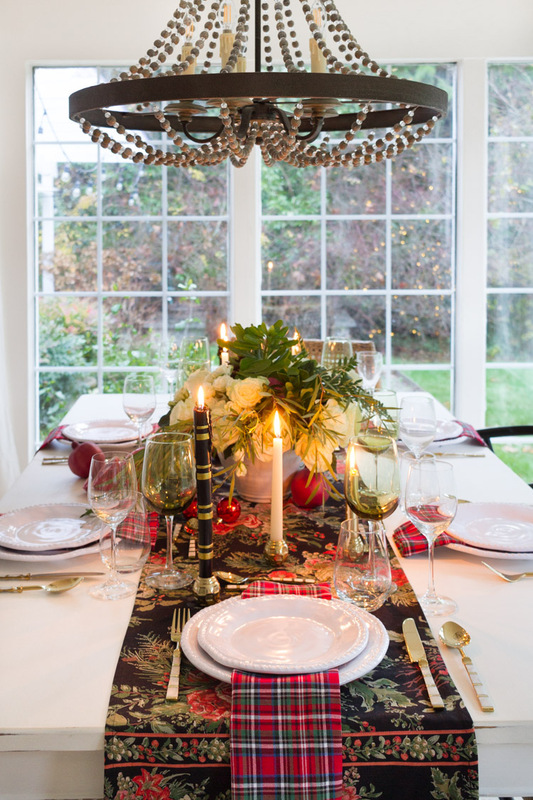 Beautiful holiday table. 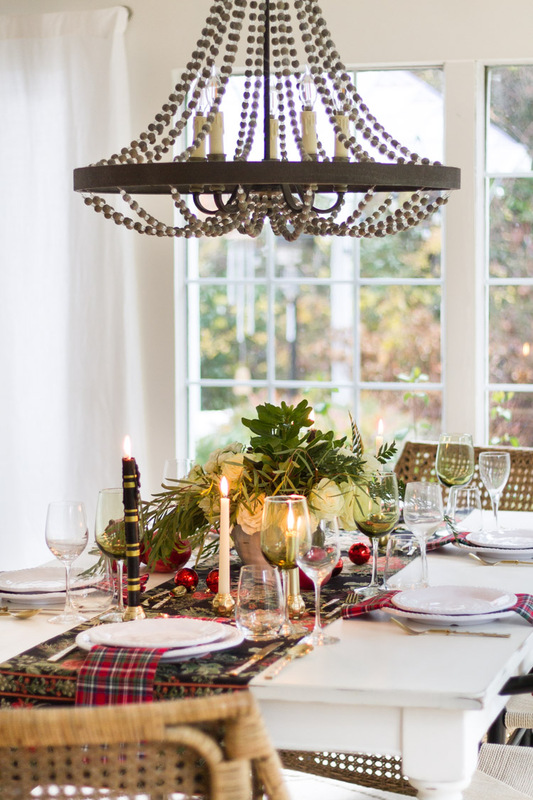 I love the combination of the plaid napkins and the black floral runner and I am crazy about your chandelier. Thanks for sharing your Christmas cheer! 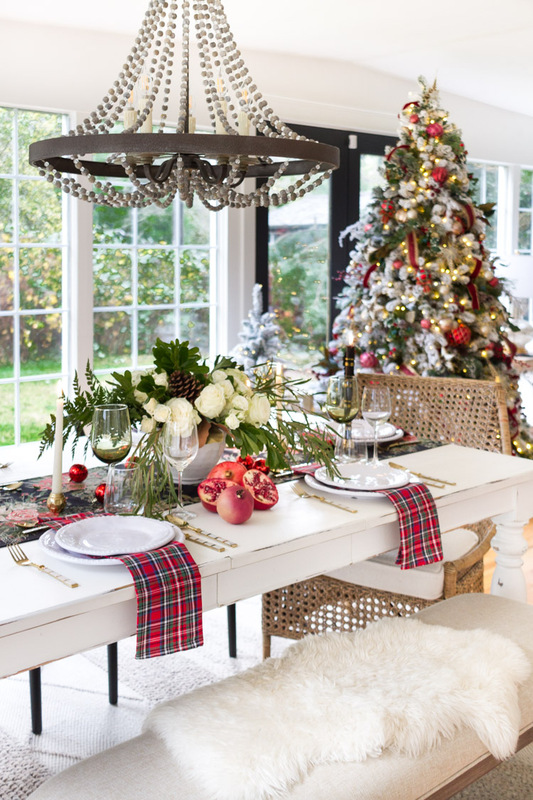 A beautiful and cozy Christmas table! 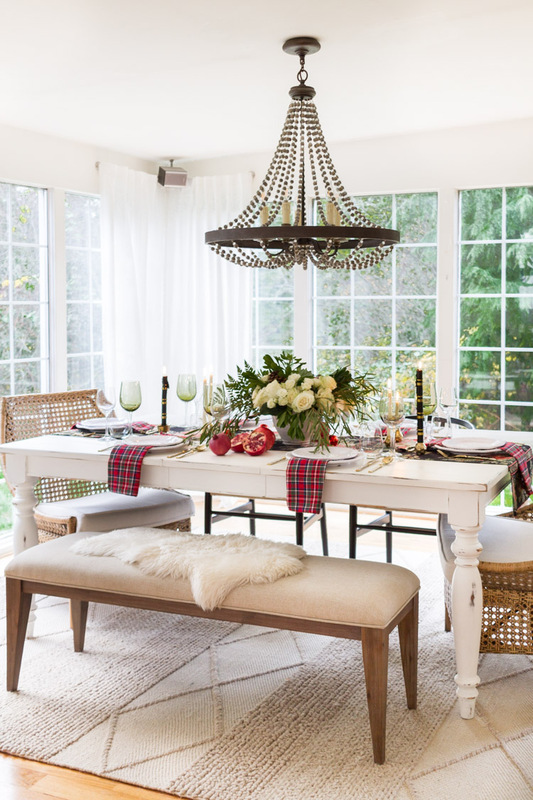 I love the plaid table runner! Julie thank you so much sweet friend! 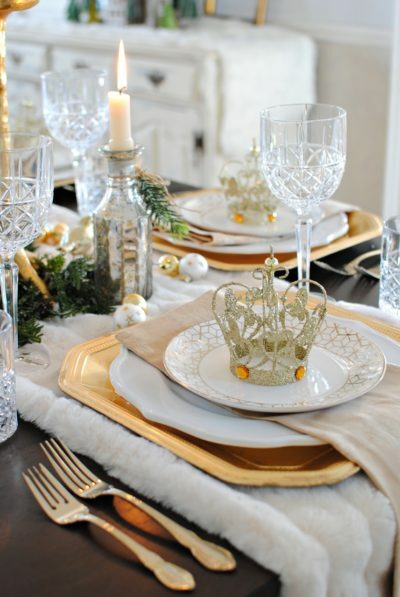 Annie, your table is exquisite! 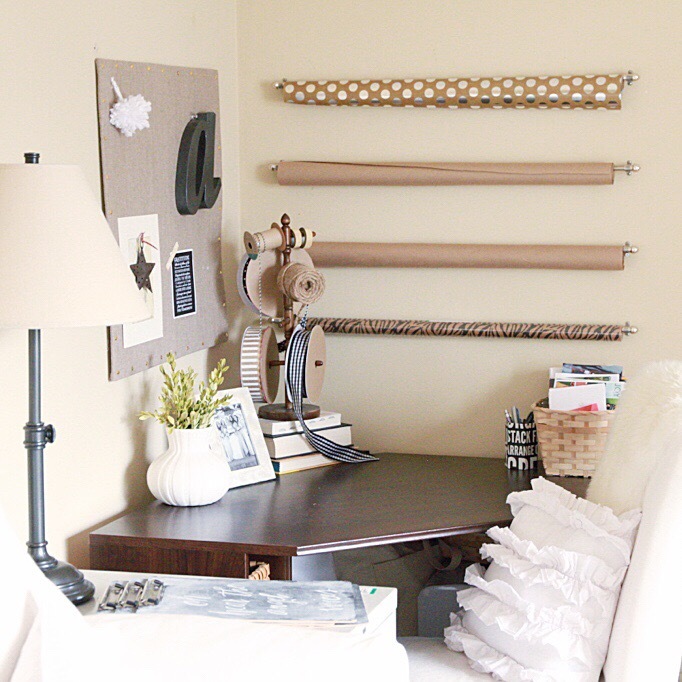 You have such amazing style and a gorgeous home. It just feels some warm and welcoming. Jamie, thank you friend and that is what I feel about your home, xoxo! !